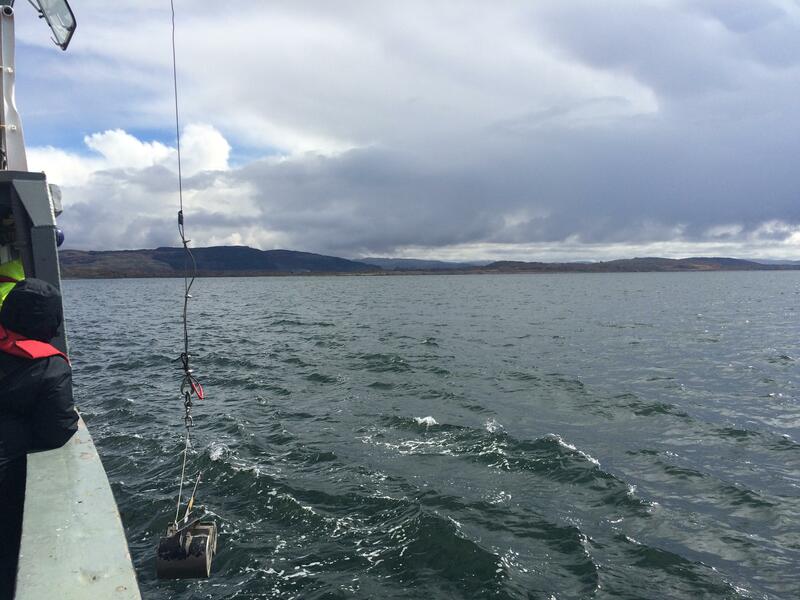 How do marine renewable devices affect marine life? The marine renewable energy sector is poised and ready, waiting to harness the power of tides and waves with underwater tidal turbines and floating wave energy converters. A shift to renewable energy sources is essential to reducing global carbon emissions, but what are the consequences of these new technologies? Are we prepared for the effects of filling our already fragile oceans with rows of large, moving structures? Will we cause irreparable damage? Or might there even be some positive effects? 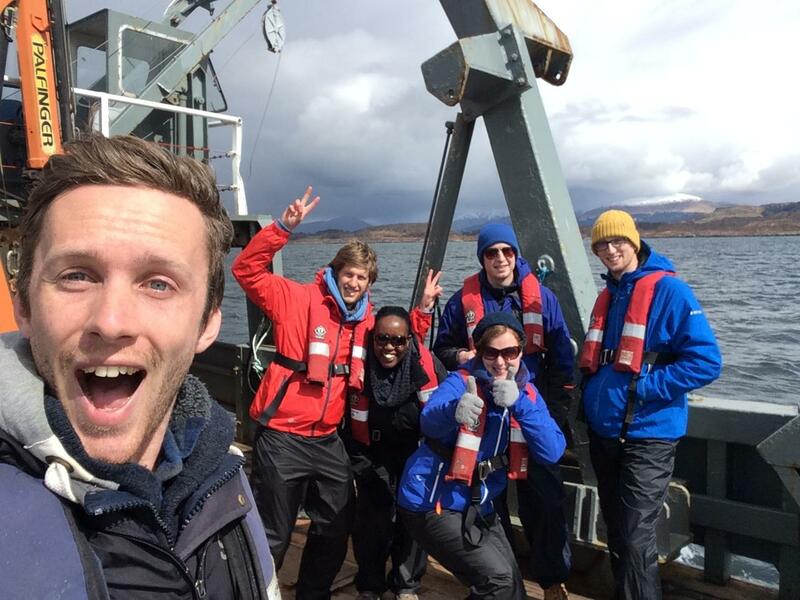 These are all questions relevant to my thesis and so, for two weeks, I attended a course on Marine Renewables and the Environment held at SAMS (the Scottish Association of Marine Science). The aim of this course was to explain the interactions between the abundant and varied ecology of the seas and the devices that will inevitably be placed in the midst of them. SAMS is one of the oldest oceanographic organisations in the world and one of Europe’s leading research centres for marine science. It takes a great interest in marine prosperity and sustainability, climate change and, crucially, renewable energy. 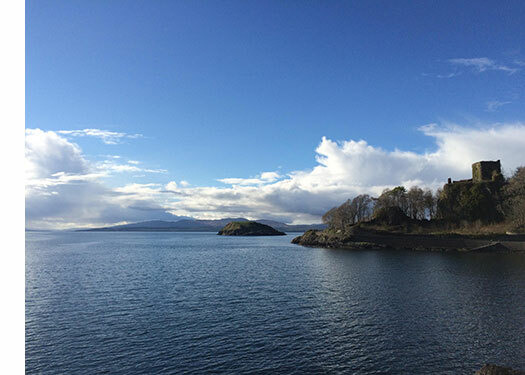 SAMS is located next to Dunstaffnage castle on a wild and exposed spit of land just north of Oban, Scotland, where the sinuous Loch Etive breaches into the grand, island-studded Firth of Lorn. Over the course of two weeks we studied all forms of marine life. The flora ranged from the tiny, sometimes unicellular, phytoplankton and drifting algae, to the larger seaweeds. The fauna, a rather more extensive group, covered zooplankton, sponges, hydrozoa (including jellyfish and coral), segmented worms, molluscs, crustaceans, echinoderms (starfish and urchins, for example), bryzoans (moss animals), ascidians (sea squirts), fish, and of course the many marine mammals and seabirds that live and feed in the marine environment. Something that struck me was the vast disparity, between the variety of marine flora and fauna. The dependence of plants on light to photosynthesise is at least partially responsible. The turbidity of British seas means that larger plants can only survive to a depth of about 25m, and even phytoplankton only descend to about 50m. Marine fauna on the other hand have no such limit, and can thrive many kilometres below the surface. Marine renewable devices can have both negative and positive impacts on these many types of life. But what was made very clear was the great uncertainty in the extent and degree of almost all of these effects. The most commonly discussed consequence of tidal turbines is blade strike. 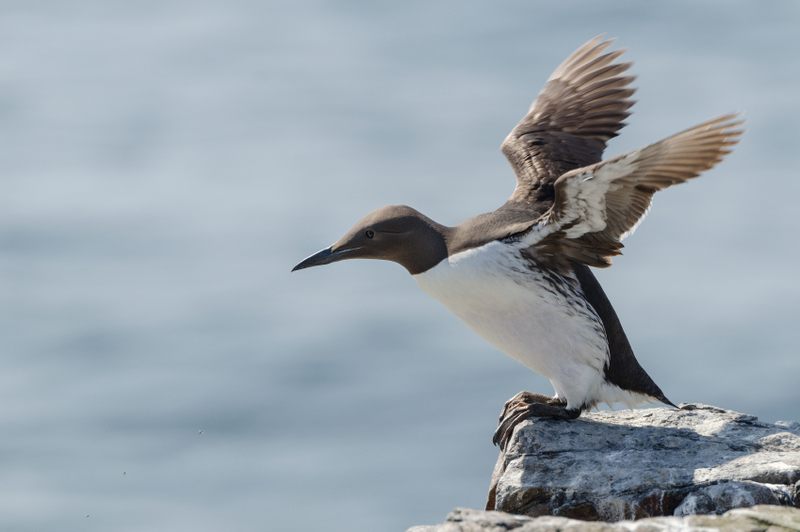 This represents a potential issue for marine mammals, large fish / sharks, and various types of diving bird, many of which dive well below the depth at which you might expect to find a turbine (guillemots, for example, have demonstrated the almost unbelievable ability to dive up to 180m below the surface in their search for fish). The extent of this problem is completely unknown, it is possible that such animals will be adept at avoiding turbine blades, but it is possible they will not. T hen there is the noise produced during both the construction and the operation of such devices. This could potentially scare off or disorientate some marine mammals (or during pile driving even deafen them) while possibly attracting other more curious species. In this case mitigation techniques such as using bubble shields to damped sound during construction could the limit negative effects. Another interaction that was heavily discussed was that of the artificial reef effect. Whatever the marine renewable device in question, one immediate change to the local environment will be the addition of large, sometimes complex, structures which provide a new, different habitat type upon which life can and will grow, often significantly increasing the biomass of the area. This is not necessarily a good thing as structures in the water have been known to provide stepping stones for invasive species that are otherwise unable to cross wide channels. This influx of both floral and faunal growth will attract fish which in turn will attract marine mammals and seabirds into a, potentially, dangerous area. In fact, considering that fish also like to hide in the shelter given by these structures, and that such areas will likely become no fishing zones it seems probable that a marine renewable development could become a veritable haven for fish. Whether the knock-on effects of this, on other marine life or indeed on fishermen, are positive or negative is unknown. The main thing I am now aware of is the high levels of uncertainty in expert opinion. I had assumed that putting devices in the sea would be an inherently bad thing for the local environment (although good for the world at large), but is it? Possibly, sometimes, but we don’t yet know. Then I was told of all the life that would actually be drawn to such devices, surely that’s good? Possibly, sometimes, but we don’t yet know. The introduction of marine renewables to the seas is inevitable. It is one of many things that has to happen if we hope to combat the inescapable advance of man-made climate change. But I have learned that it has to be done with care, it has to be monitored well, and the information gathered has to be put to use. It seems possible that such technology could be implemented without contributing to the decline of the oceans, but only as long as it is done in an appropriate and measured manner. For what is the point in trying to save the planet if we end up destroying it in the process? Thank you for this very informative article. The topic of marine renewables and their impact on the Environment highly interests me, I would have loved to have attended the course! You answered most of my questions to what impact marine turbines could have on marine life and the local marine environment well, cheers and keep up the good work! Thanks for doing this research. And it was very well and clearly written (I’m a science editor). Do you know of any further research that’s been done? So glad you enjoyed this blog. I have passed on your query to the author. In the meantime, do browse our website for further research. We have published a variety of content on plastic pollution in the ocean. Alternatively, you can browse our full list of publications here.